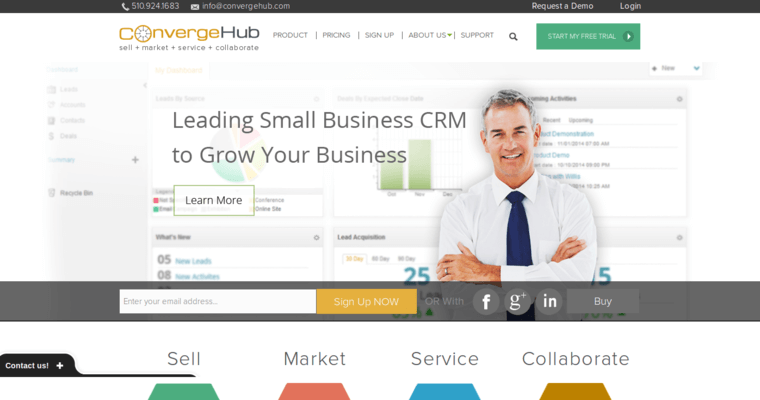 If you run a business that you need to have more control over as far as things like customer relationship management and communications are concerned, you need to get with the best enterprise CRM software in the business - ConvergeHug. This software provides businesses of all kinds with the tools that they need to do business and engage in commerce the right way. Making sales, engaging in marketing, giving customers the attention that they desire and deserve, and billing customers for services and products that have already been delivered are the four main areas in which ConvergeHub provides the support to businesses that they need to maintain their size, grow, and even build their networks of commerce at an exponential or logarithmic rate. 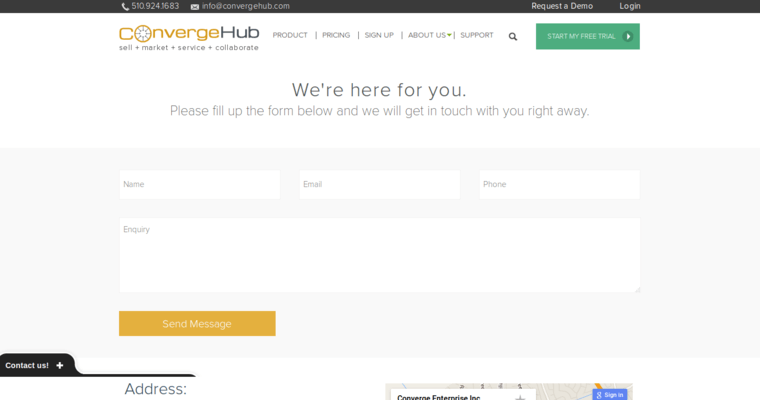 Getting started with ConvergeHub is easy, as ConvergeHub provides a free demo version of their customer relationship management system to any and all businesses that want to try it out.